You can love Apple Corporation or you can hate Apple Corporation. However, it’s all right, you won’t argue that their electronics are practically perfect. 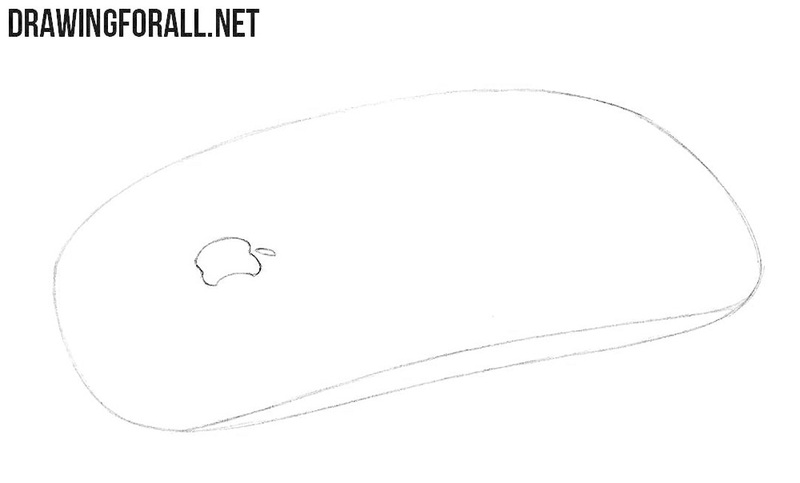 Today we have created for you a drawing tutorial on how to draw a Magic Mouse from Apple. And by the way, you can assume that the appearance of this mouse is a bit strange and unusual. It’s true. 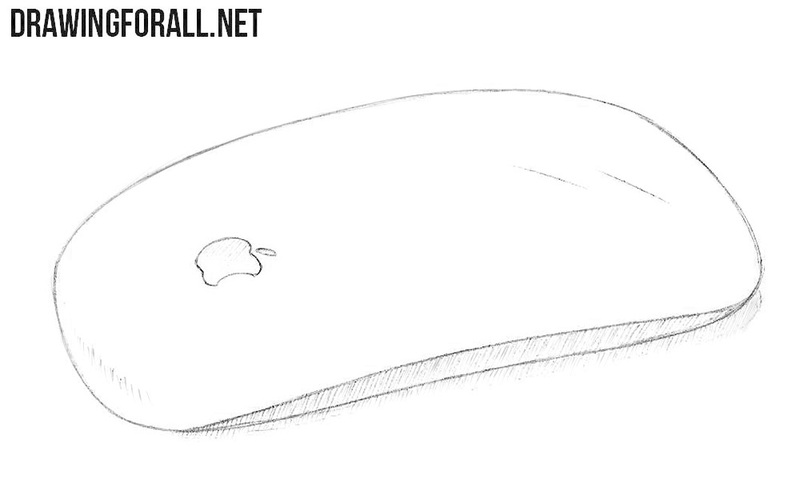 But if you get used to this device a little, then you will start to consider all other computer mouse unusual. First, draw the contours of the body. You may notice a very clear distinctive feature of the whole Apple technique. We are talking about the complete absence of angles. Note that the contour looks asymmetrical from this foreshortening. 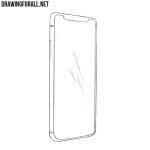 Draw a small but noticeable Apple logo on the left side of the device. 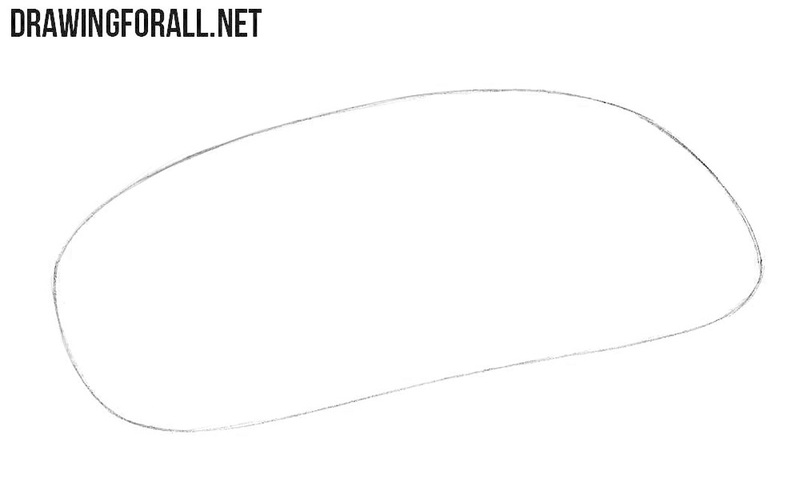 In the same step, we draw the side of the computer mouse. You can again see very smooth rounded contours. 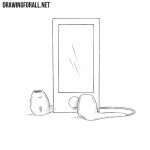 If you did everything right, then you should get such a drawing of a beautiful and flat mouse. Add a little light shadow. As you can see the shadows are located on the side of the previous step, as well as on the surface of the table. This is just an easy one-sided shading. Do not press on the pencil too hard. To make your drawing look more realistic and beautiful, add some highlights using a few long strokes. We love Apple gadgets. If you want us to draw more of them, just write about it in the comments. We will be very happy to work with these cool gadgets. 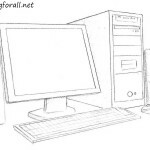 In addition, do not forget that we have pages in all known social networks, such as Pinterest, Twitter and Facebook. 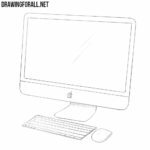 There we publish announcements and shortened versions of all our drawing guides. 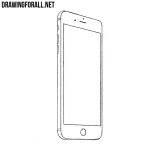 If you subscribe to above mentioned pages, you won’t miss a single lesson from Drawingforall.net. 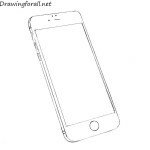 By the way, we are sure that if you work hard and train your skills in drawing every day, you will be the same masters in drawing as Apple engineers are masters in electronics design. Easy to draw, thx 4 the tutorial.